Now you can conveniently print everything you need for your business from your office with the HP Color LaserJet CP3525dn Color Laser Printer. Create professional quality documents, brochures, newsletters and more all on your schedule from the comfort of your own office with the HP CC470A#ABA Color Laser Printer. You can easily produce eye-catching black and color documents with this high-performing, reliable printer for general and specialty print projects. Highly rated toner cartridges give your prints clear and sharp looking pages. Original HP Color LaserJet print cartridges with built-in intelligence provide reliability and ease of use. Replace the four cartridges quickly and easily with convenient single door access. 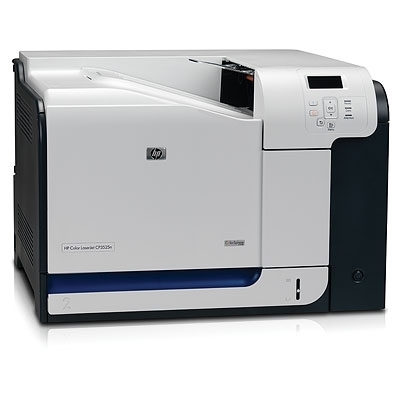 The HP Color LaserJet CP3525dn Color Laser Printer is an ideal selection for those who need a reliable, easy-to-use color printer to produce high quality business documents.